Rob Pape, DC has been practicing chiropractic since 1997. He specializes in solving chronic muscle and joint pain. Karen Pape, MS, PES, CES holds a Master's degree in Exercise Science and Health Promotion with an emphasis in Rehabilitation Sciences. She holds advanced specialization in Performance Enhancement and Corrective Exercise and is a certified Functional Movement specialist. She has been a personal trainer since 2004 and is certified through NASM. Karen enjoys a very active lifestyle. She is a 2nd degree black belt in Tae Kwon Do, has studied other martial arts and is an avid tennis player, hitting the courts as often as possible and competing through local USTA leagues. 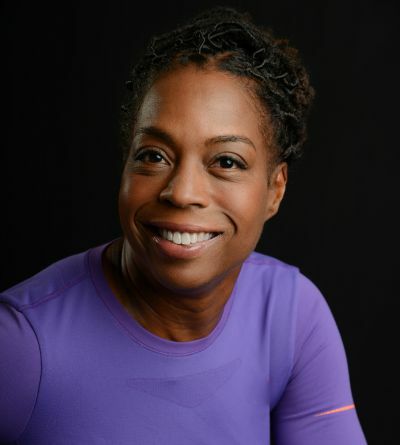 Karen uses active wellness training allowing clients to perform at a high level while avoiding recurring injury cycles and strengthening functional muscle patterns. Pre and post rehab clients greatly benefit from strength training with Karen in order to get back to the activities they enjoy quickly and at a high level. Karen has worked with athletes at all levels (including Division I and II collegiate, competitive gymnasts, ice skaters, martial artists, distance runners, triathletes, ultimate frisbee and tennis players) but also enjoys working with people who recognize that pain free activity at any level can increase their quality of life and extend their period of participation in whatever opportunities come their way. His methods are safe, effective and are adaptable to most every situation presented at his office. Anthony likes to work with people who are already active or are looking to become more active. His focus is on treating and preventing sports injuries and the repetitive strain injuries that plague modern society. Anthony is an accomplished snowboarder, skate boarder and surfer. He also won't turn down a chance to throw a ball around or hike in nature or the city. To make an appointment with Anthony, you can reach him directly at 510-326-8518. Betsy Abel, MS, CSCS, LMT is a Nationally Board Certified Massage Therapist, a State Licensed Massage Therapist and Strength and Conditioning Coach. She specializes in the Myofascial Integration Technique and the Myoskeletal Alignment Technique. As a result of her participation and experience in the athletic arena, she enjoys working with athletes or individuals who lead an active lifestyle. She has worked with various sports teams and their athletic training staff assisting in injury prevention, performance enhancement, and rehabilitation. Her Massage Therapy Credentials are enhanced by her Bachelors degree in Exercise Science, Masters degree in Sports Administration, as well as her certification as a Strength and Conditioning Specialist. Her eclectic knowledge of the human body offers her clients a unique insight into its structure and function. Betsy was a massage therapist with the University of Tennessee Sports Medicine department where she worked closely with swimming, track and field, volleyball, and soccer. She has also had the unique experience of working with several Olympic athletes in their journey for gold. Beginning in 2006, Betsy began working as the Sports Massage Therapist for the nationally ranked, Saint Mary’s College Men's Rugby team. She is also the team massage therapist for the Oakland Triathalon Club. As a massage therapist, she has the essential skills to treat elite athletes and weekend warriors alike. Having the unique combination of massage therapy and personal training, Betsy is also able to train clients looking to get back to doing what they love, and doing it optimally. To make an appointment with Betsy, you can reach her directly at 510-435-2696. ©2017 Chirofitness, Inc. All rights reserved.